China’s rating on perceived corruption has fallen for the first time in five years, pushing it down 10 places to 87 on an annual index by global watchdog Transparency International. 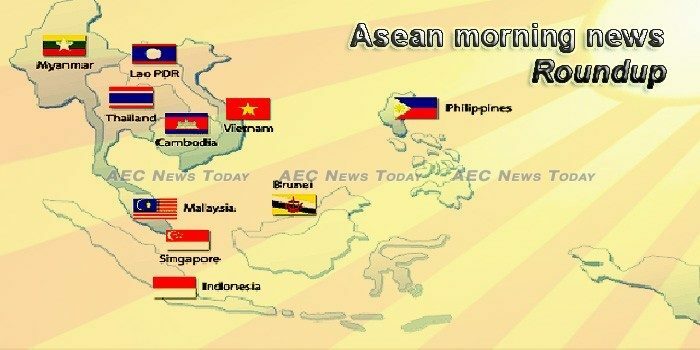 Policymakers in the 10-member states of the Association of Southeast Asian Nations (ASEAN) are being urged by their counterparts from the European Union (EU) to boost regional integration to counter the decline in intra-ASEAN trade, as well as global economic pressures. A new $60 million Singapore-based investment entity has been formed to pursue renewable energy projects in Southeast Asia, with projects in the Philippines, Indonesia and Myanmar first in line. China-funded infrastructure projects in Southeast Asia have plunged in the past year as foreign governments grow wary of Beijing’s overseas investments. EUROPEAN businesses consider the economic integration of the Association of Southeast Asian Nations (ASEAN) to be well behind schedule due to the reluctance of individual members to liberalize their markets. The recent Wall Street Journal (WSJ) report regarding senior Chinese officials offering to bail out 1MDB and derail investigations into the alleged corruption in the fund in exchange for stakes in the ECRL in Malaysia, has raised serious concerns. Following the launch this month of a USD 1 billion initiative by some 30 major industrial and consumer goods companies around the world to fight plastic pollution, ASEAN Centre for Biodiversity (ACB) Executive Director Dr. Theresa Mundita S. Lim called on other private companies in the ASEAN region to follow-suit. The poverty rate in ASEAN has been reduced significantly, and the quality of life has improved for a vast number of the region’s 625 million residents. More Taiwanese companies are favoring Southeast Asia over China for overseas expansion to dodge US-China tensions, a survey by Standard Chartered Bank Taiwan Ltd (渣打台灣銀行) showed yesterday. Digital technologies are revolutionising consumer interactions and the way enterprises compete. Vietnam and Singapore are tipped to lead price growth in the property markets in Southeast Asia this year, underpinned by the region’s youthful population and relatively long period of political stability. The red-robed monk sat impatiently at the front of the consultation meeting in Chiang Saen, northern Thailand. There is a degree of polarity when it comes to naval assets in Southeast Asia, with some countries having a disproportionately large number of surface assets to patrol a relatively small area – Singapore is a case in point – while other countries such as Indonesia and the Philippines have far too few assets to monitor huge maritime areas. Dmitry Levit, founder and partner at Cento Ventures, talks about the investment opportunities in Southeast Asian technology companies. Grab is Southeast Asia’s top ride-hailing firm thanks to its acquisition of Uber’s local business last year. Banking credit in Indonesia accelerated at a faster pace last year as financial stability commenced recovery, paring down risks of hawkish policy of U.S. Federal Reserve. The Financial System Stability Committee (KSSK) has said Indonesia’s economy faces several risks this year, such as continuing trade and current account deficits and liquidity constraints. The Depok City Government declared an alert status for dengue fever. As of January 25, 2019, there had been 314 dengue patients admitted to the hospital. Some 710,000 U.S. dollars has been paid to the families of 71 people who died or are still missing after an auxiliary dam collapsed in Sanamxay district, some 560 km southeast of Lao capital Vientiane, local daily Vientiane Times reported on Tuesday. a legendary 7,000-year-old city in China – which was home to renowned thinkers Confucius and Mencius – is also abundant in natural beauty. The Philippines’ ranking has improved 12 notches in the 2018 Corruption Perceptions Index (CPI) conducted by the global anti-corruption watchdog Transparency International. National government (NG) debt ballooned to P7.292 trillion last year, expanding by over P600 billion from 2017 due to higher domestic and foreign borrowings, the Bureau of the Treasury reported on Tuesday. SEN. Panfilo Lacson yesterday said some senators have inserted about P23 billion worth of projects in their respective provinces without consulting the concerned agency. Changi Airport handled 65.6 million passengers in 2018, a 5.5 per cent increase from 2017. Australian Prime Minister Scott Morrison has urged Thailand to stop the extradition to Bahrain of a detained football player who has refugee status in Australia, his office said Tuesday. Thailand dropped to 36 points, one lower than the year before, in Transparency International’s 2018 Corruption Perceptions Index for 2018 released on Tuesday. The index ranges from 100 (very clean) to 0 (very corrupt). Toxic smog levels soared in greater Bangkok’s stagnant air on Tuesday morning with fine dust particle readings of 50-116 microgrammes, peaking in Samut Sakhon’s Muang district. Vietnam aims to receive about 18 million foreign visitors and 85 million domestic ones in 2019, and earn more than 700 trillion VND (30.2 billion USD) from tourism, according to the Ministry of Culture, Sports and Tourism. Japan is set to lift 86 percent of the tariff lines for Vietnamese products in line with its commitments in the Comprehensive and Progressive Agreement for Trans-Pacific Partnership (CPTPP).